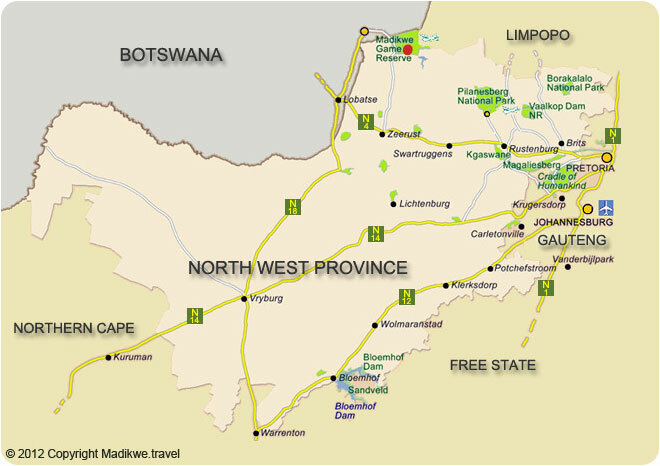 Madikwe Game Reserve is approximately 350km – or a 3.5 hours’ drive on decent roads – from Johannesburg or Pretoria. 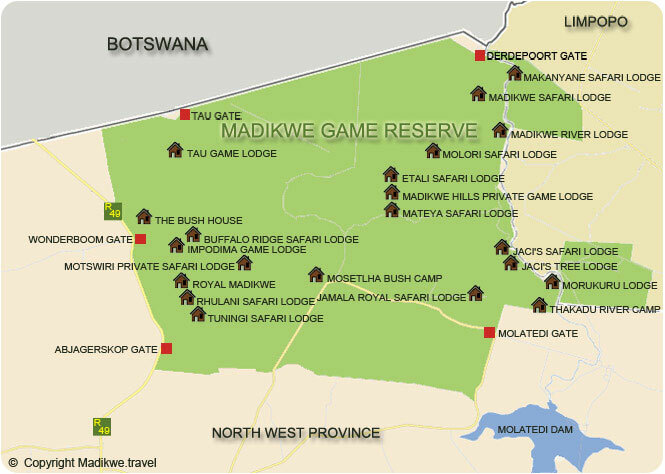 The final approach to the reserve might vary depending on which lodge you are booked into, so be sure to confirm these directions beforehand. You can also ask your lodge of choice for details regarding the available air charters as there is an airstrip located in Madikwe.